Earlier this fall, over the course of three weeks, three national organizations working on driving Internet access, adoption and use came to Minnesota for major meetings. Why? ~ Is it because our children are above average? ~ Is it something in the water? Is there something pretty exciting going on right here in the state of Minnesota? Come and be part of the excitement. Experience what folks from New York to California came to the Twin Cities in September to learn about. Connect with others from across the state who are sharing in this work. Get (re)inspired. 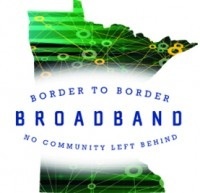 Join us on November 18-19 at Cragun’s Resort in Brainerd to reengage and recharge our shared efforts to make “border to border broadband” come true for Minnesota.